Published: Aug. 25, 2016 at 06:45 p.m. 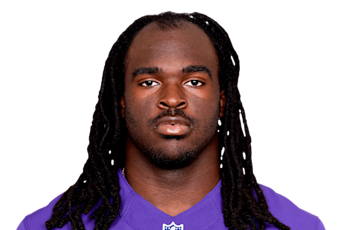 Updated: Aug. 25, 2016 at 06:57 p.m.
Breshad Perriman got a haircut that could literally make him a better player in 2016. The second-year Ravens wideout entered the NFL with long dreadlocks that passed his shoulders. One morning this offseason, he made the decision to shave his head. The result has had a positive effect on his body and mind. "I feel much lighter," Perriman said, according to ESPN.com. "Once I cut it, I weighed myself, and I lost three or four pounds. It was crazy." Perriman said he didn't know why he decided to go Full Jordan, though his rookie year team photo offers a pretty big hint. Consider this the haircut equivalent of breaking up with the girlfriend before she can break it off with you. "Saints GM 'looking for big things' from Daven..."